UPDATED: Best Buy has confirmed that its UK Best Buy stores will close, and that the retailer will buy Carphone Warehouse's US mobile phone business for a reported fee in excess of $1 billion. Carphone Warehouse partnered up with Best Buy to launch the UK best Buy stores, but it seems that the venture has not been as successful as the two hoped. The 11 'pilot' electronic retail stores that have been launched in the UK have been closed, with an announcement today. "Based on challenging economic conditions and profit expectations of these stores, Best Buy Europe is announcing that it plans to close all 11 of these stores effective at the end of the calendar year," said Best Buy's statement. "As required in the UK, Best Buy Europe will conduct a consultation of the affected employees regarding the closure of the pilot stores. "In the future, Best Buy Europe will leverage the strength of the installed base of approximately 2,500 small box mobility stores and upgrade many to the 'Wireless World' store by taking its historically successful format to the next level of store experience and service and incorporating an even wider range of connectivity devices." 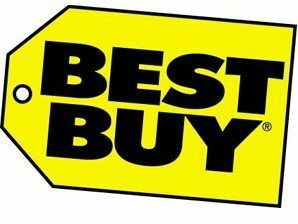 Best Buy's has also confirmed that it will be buying Carphone Warehouse's US mobile phone business. The partnership will continue, with Best Buy continuing to own 50 per cent of Carphone Warehouse's high street business in the UK. "Each of these actions represents an exciting growth opportunity for Best Buy and near and long-term value for our shareholders," said Brian J. Dunn, CEO of Best Buy. "Over the past four years we have built unsurpassed expertise and depth of offerings in mobile. "No other retailer has our carrier and vendor relationships across all product categories, our well-established multi-channel presence and the Geek Squad ensuring that you walk out with your technology working."